Fifty Six Hope Road Music Limited, Inc. is the legal entity that owns the rights to reggae singer Bob Marley’s name, likeness and trademarks. It’s pretty familiar with defending those rights and pretty successful at it. 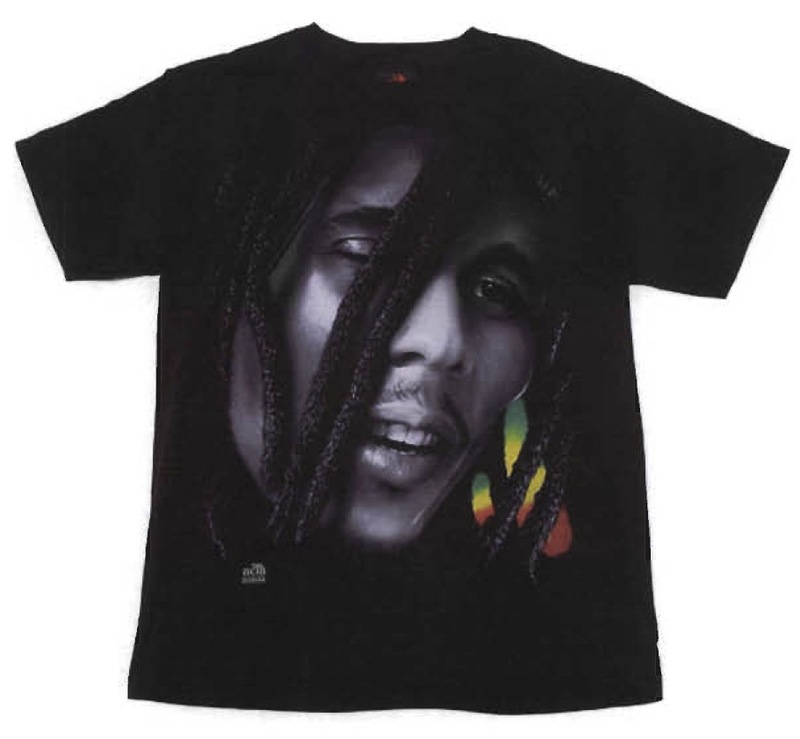 Rogala was successful; JIG became a licensee and was allowed to make shirts with Rasta Dreads and the other two images. Upon the termination or expiration of this Agreement, Licensee [JIG] will be deemed to have assigned, transferred and conveyed to Licensor [BMMI] any trade rights, equities, good will, title or other rights in and to the Artist which may have been created or obtained by Licensee or which may have vested in Licensee in pursuance of any endeavors covered hereby, and Licensee will execute any instruments requested by Licensor to accomplish or confirm the foregoing…. Licensee acknowledges that the Licensor is the sole owner of all right, title and interest in and to the Artist [Marley]; that any copyright and trademark right or any other rights which may be created in any article, label, design or other material bearing or including the Artist, are and shall be the sole and exclusive property of Licensor; that Licensee has and will hereby acquire no rights in the Artist; that design or other material bearing or including the Artist, other than the right to use the same as herein provided, shall be the exclusive property of the Licensor; and that at no time will Licensee, either during the Term of this Agreement or thereafter, claim any rights therein or register any word, device or symbol confusingly similar to the Artist or any similar or related mark or any copyright or other rights which may be created in any article, label, design or other material bearing the Artist or any similar or related mark, except pursuant to this Agreement…. The license terminated in 1999. In 2003, Zamoyski realized that another company was selling T-shirts with the images he had created. He ultimately sued in 2008. Defendants Fifty-Six Hope Road and BMMI counter-claimed for a declaration of copyright ownership. It seems a pretty easy case for BMMI and Fifty-Six Hope Road. The wrinkle was that the license agreement was with JIG, not Zamoyski directly. BMMI therefore had to demonstrate that Zamoyski knew of and assented to the license agreement, that is, that JIG had apparent authority to agree to the terms of the license on Zamoyski’s behalf. In BMMI’s favor was testimony that Zamoyski was aware of and approved of JIG entering into some form of licensing agreement; that he was paid by JIG for the sale of the Marley items; and that Zamoyski himself submitted two of the designs for approval. But, the Licensing Agreement was signed by Rogala on behalf of JIG, not Zamoyski; there was no written agreement between Zamoyski and JIG; Zamoyski never saw the agreement itself until and 2005 and claimed to never have know that the copyright was to be transferred; and Zamoyski registered the copyright in the images but neither BMMI nor Fifty-Six Hope Road had. So the court denied summary judgment and punted it back to parties as a question of fact. Zamoyski is completely in the hole at this point, though; his own copyright infringement claim against Fifty-Six Hope Road and BMMI was time barred and his claim for unjust enrichment preempted. Trial on copyright ownership set for November 15, 2010. Jürek Zamoyski v. Fifty-Six Hope Road Music Limited, Inc., Civ. No. 08-30125-KPN (D. Mass. June 2, 2010).